PLAYING WITH SNOW IN HOKKAIDO! We offer wonderful experience to all of travellors not only sightseeing, but also playing with snow. It will be unforgetable memories of travel. Experience sliding on snow with no specialized equipment or lessons required!! The most exciting and thrilling experience ever on the snow! 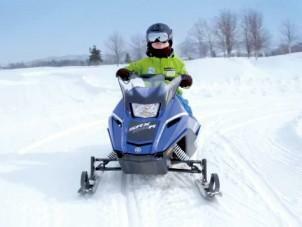 Kids can ride their own mini snowmobile around a kid friendly course (about 1km)!! 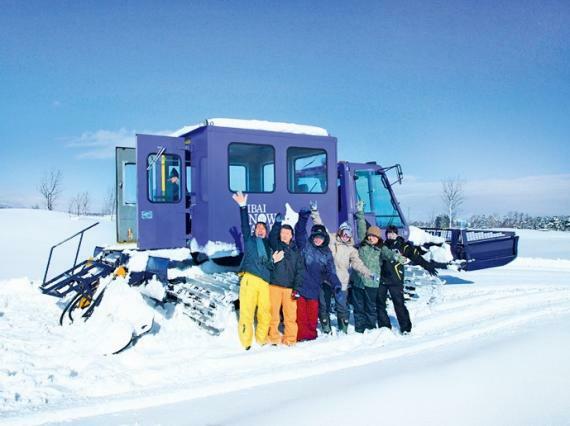 Snow cabin provides you easy ride to enjoy the vast and beautiful snowy scenary! Go experience deep Hokkaido powder snow! 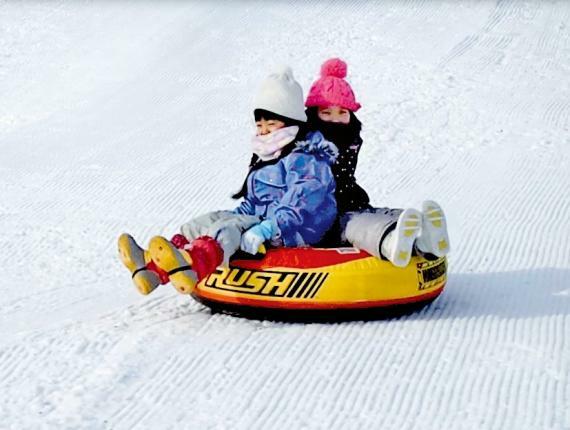 * There are some activities for small kids like snow tubing or snow cabin touring by only admission fee. Snow Tubing ! Everyone like so much!! Drive a small size snowmobile in the white snow land. You can walk in snow easily with snow shoes. - Please wear warm winter clothes with snow gear / ski wear. * You can purchase snow gloves, socks and other winter goods at the shop. Food and drink at the restaurant. *You can add a favorite option to the charged snow activities. Pound steamed rice to make mochi pounding. It is eaten with sweet red-bean soup and powdered soybean flour. Dig soft and fluffy snow, and let's look for a secret treasure! How many treasure can you find? Pick-up & Drop-off available from Bibai station. *Free pick-up can be chosen from 2 coming and going day. *The outward trip from Bibai Station needs a prior reservation. *A reservation is required by 3 days before. * If you would like to use this service, please let us know your arrival time at Bibai station. - The program might be cancelled or changed due to weather or snow conditions etc. 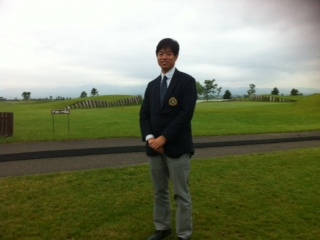 We manage Golf Course in summer and snow land in winter. We also offer "SNOW GOLF". It is first and only in Japan! It takes about 40 min by train from New Chitose Airport. 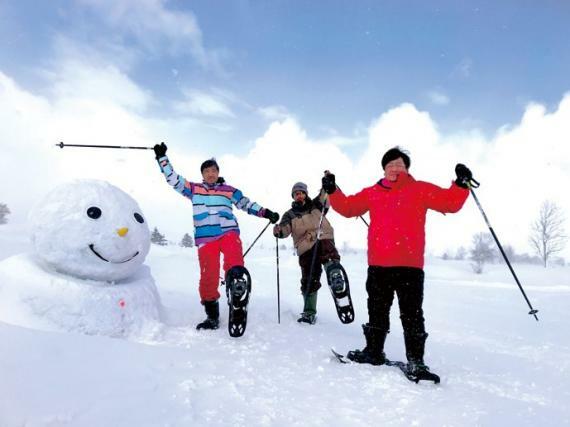 You can enjoy snow activities and beautiful scenery!